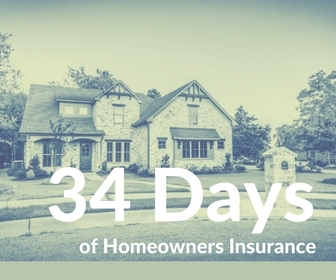 Day 032 | Does My Homeowners Insurance Cover Spoiled Food? You just went grocery shopping and purchased a side beef. Your refrigerator and deep freeze are packed full. You have enough Hungry Man meals to last you a month. That night a storm rolls through town. The wind knocks out your power for the entire night. All of your food goes bad. Depending on your homeowners insurance policy, some policies will provide coverage food spoilage. Check your policy to be sure. Some companies will let you add this coverage to your policy if it doesn’t come automatic. Coverage will usually have a set limit. It may be $250 – $500. And depending on the insurance company you may or may not have a separate deductible. Now for coverage to apply, it has to be a covered cause of loss. It’s can’t be that you forgot to pay your electric bill or because you’re a novice at running a backhoe. Lastly, take pictures of the food before you throw it out. You may need it as evidence for the insurance company.